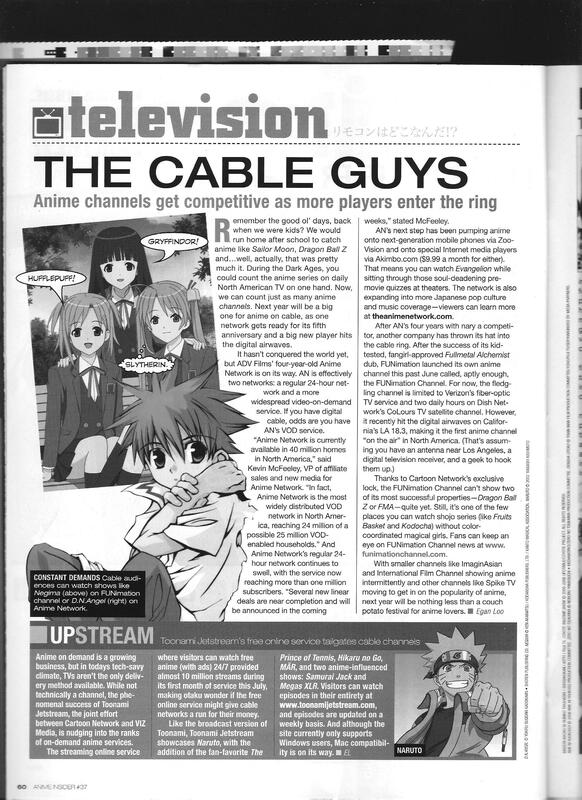 An article with some info on anime-based cable/on-demand channels (really the anime network, though the funimation channel is mentioned). Also, the captions on that image are painfully bad, not that it’s exclusive to this article. If this magazine didn’t have a lot of authentic info/interviews, I would have quit looking at it a long time ago. The various attempts at humor throughout the run are soul-crushing.